I have written and edited text for diverse audiences, including students, academics, general interest readers and clients. My work has been featured in various publications, including Border Crossings, National Post, CityLab, The United Church Observer, amongst others. I have contributed essays to exhibition catalogues and have had the opportunity to work with authors and translators editing book-length projects. Since 2005 I have conducted research for the scholarly work of Alison McQueen of McMaster University. 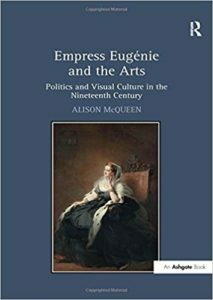 I have edited both book length projects and articles about 19th century art and culture with a particular focus on the life and patronage of Empress Eugenie. 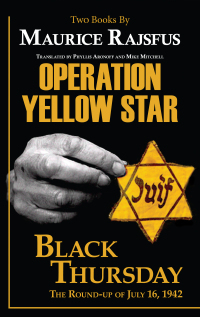 While working at DoppelHouse Press I edited both small and large projects including the translated manuscripts Operation Yellow Star/Black Thursday: The Roundup of July 16, 1942 and The Vél d'Hiv Raid: The French Police at the Service of the Gestapo. 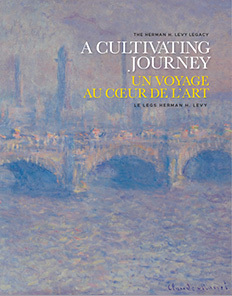 The recent touring exhibition A Cultivating Journey: The Herman H. Levy Legacy was accompanied by a catalogue to which Alison McQueen and I contributed the essay "Claude Monet and Gustave Caillebotte." "Annie MacDonell." Border Crossings. vol. 35, no. 4 (December 2016): 90-91. "Toronto Fights Fare Dodging with Friendly Faces." Citylab. 7 July 2016. "Jeff Thomas's Three Decades of 'Bear Portraits' Trace the Evolution of his Son from Child to Grown up Member of A Tribe Called Red." National Post. 12 August 2015. "Art Restoration." The United Church Observer. (November 2015): 34-36. "Brad Isaacs." Border Crossings. vol. 34, no. 4 (December 2015): 97-99. "A Foot Forward, or Foot in Mouth?" The Nomadic Journal. June 2015. “Clare Twomey.” Border Crossings. vol. 34, no. 1 (March 2015): 110-111. “Gregor Schneider's ‘Die Familie Schneider’." Co-authored with C. Paterson. The Nomadic Journal. December 2014. “Canada’s Hidden Literacy Crisis.” The United Church Observer. (December 2014): 18-19. “Vasco Araújo.” Artillery. vol, 9, issue 1 (September–October 2014). “Carnegie International 2013.” Border Crossings. vol. 33, no. 1 (March 2014): 104-105. “La Hütte Royal.” Artillery. vol, 8, issue 3 (January-February 2014). “Ferocious Beasts: Fraser Stables’ Installations Cage Creatures.” Magenta, Fall 2013: www.magentafoundation.org/magazine/ferocious-beasts/. “Kevin Yates.” Artillery, vol. 8, issue 2 (November-December 2013). “Maskull Lasserre.” Sculpture. vol. 32, no. 7 (September 2013): 78. “Messy Comedies: Janieta Eyre creates Strange Worlds of Beauty and Humour.” Magenta, vol. 4, no. 2 (Summer 2013). “Evan Penny.” Sculpture. vol. 32, no. 5 (June 2013): 77. “Cold Conversations: Jeff Thomas Reframes First Nations Culture.” Magenta, vol. 4, no. 1 (Spring 2013): www.magentamagazine.com/12/features/jeff-thomas. “Althea Thauberger.” Artillery, vol. 7, issue 4 (March-April 2013): 50, 52. “Tom Ngo’s Let it it Be.” Border Crossings. vol. 31, no. 4 (December 2012): 87-88. “Thomas Nisbet, Master Cabinetmaker.” Ornamentum. (Fall/Winter 2012): 31-32. “Luke Painter.” Border Crossings. vol. 31, no. 3 (August 2012): 115-116. “George Arluk and the Influence of Lucy Tasseor Tutsweetok.” Sanattiaqsimajut: Inuit Art from the Carleton University Art Gallery Collection. Carleton University Art Gallery: 2009. “A ‘Living’ Cybercartographic Atlas of Indigenous Artifacts and Knowledge: Combining art, science, and local knowledge.” Cartographica. Co-authored with S. Caquard, S. Pyne, H. Igloliorte, A. Hayes and D.R.F. Taylor. vol. 44, issue 2 (2009): 83-100.